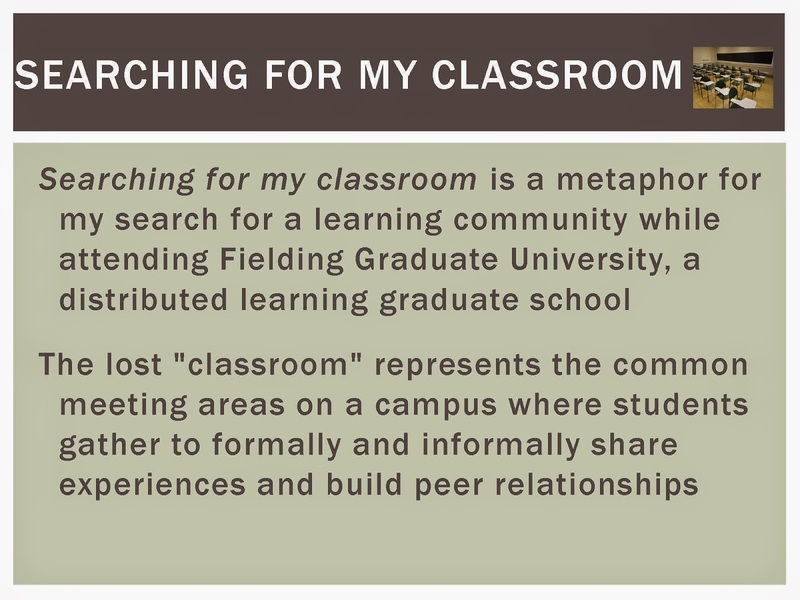 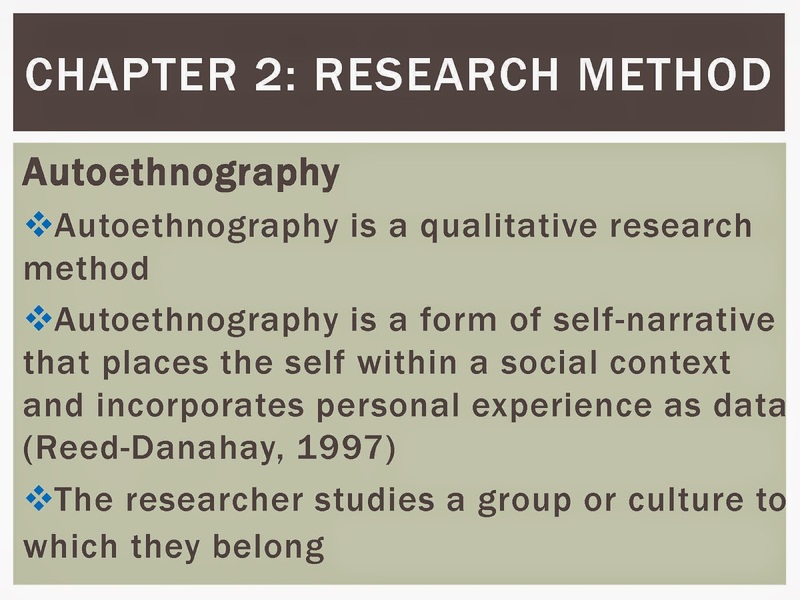 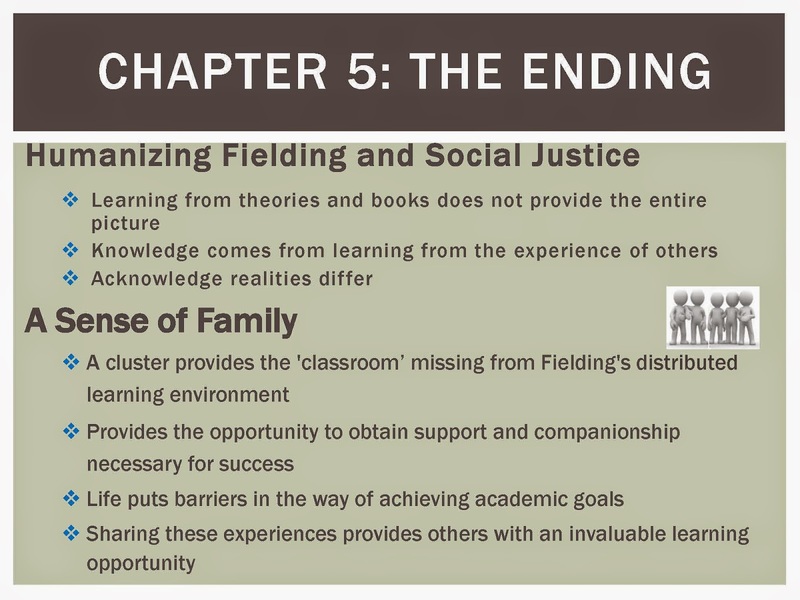 This autoethnography uses the personal journey of the author through Fielding Graduate University’s doctoral program in Educational Leadership for Change to study the influence of peer advising and peer relationships in distributed learning environments on student success and program satisfaction. 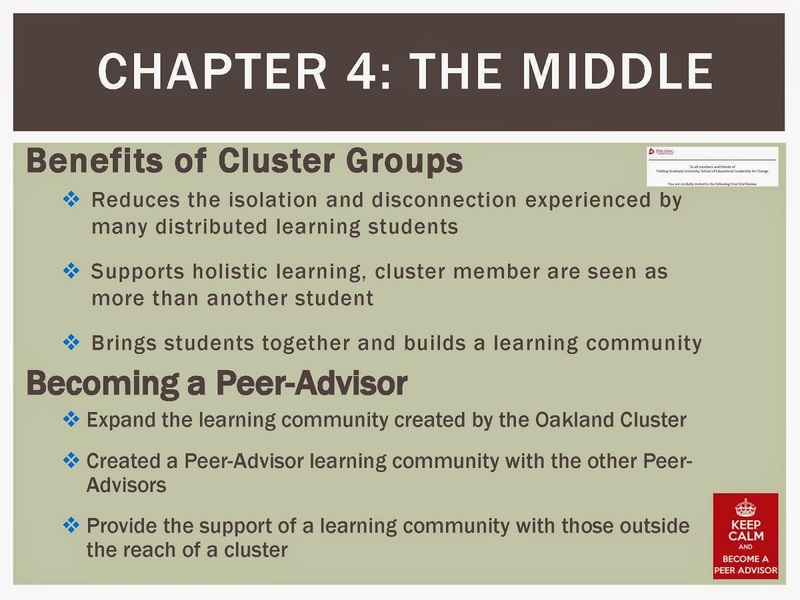 The study reveals that peer relationships and peer advisement opportunities can counter the high risks for spending too much time in the program, discontentment or dropping out. 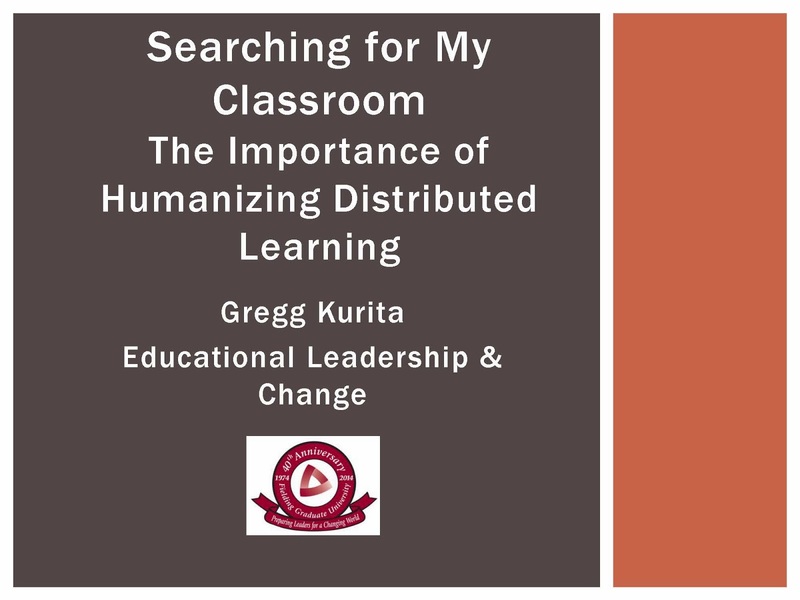 It also reveals that humanizing a distributed learning environment is important because it supports the entire person and not just their role as a student. 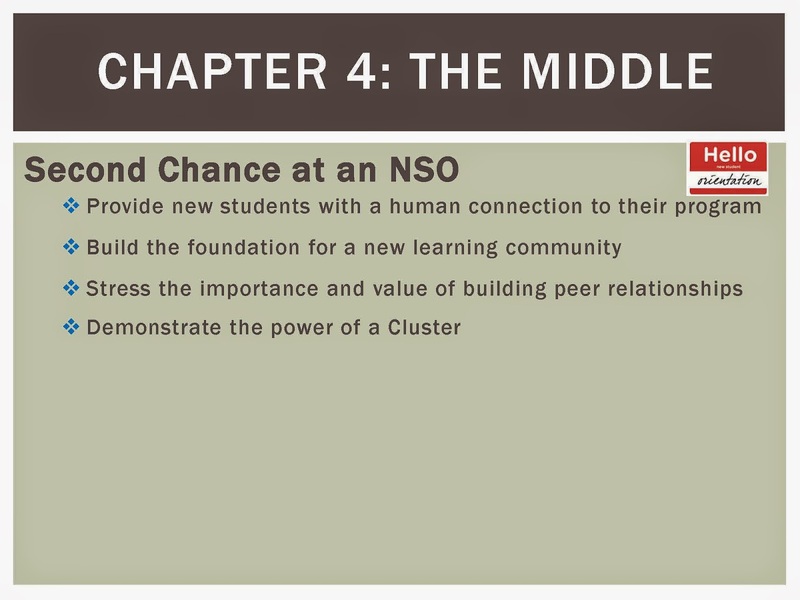 Providing the opportunity to build relationships with peers thus humanizes the educational process. 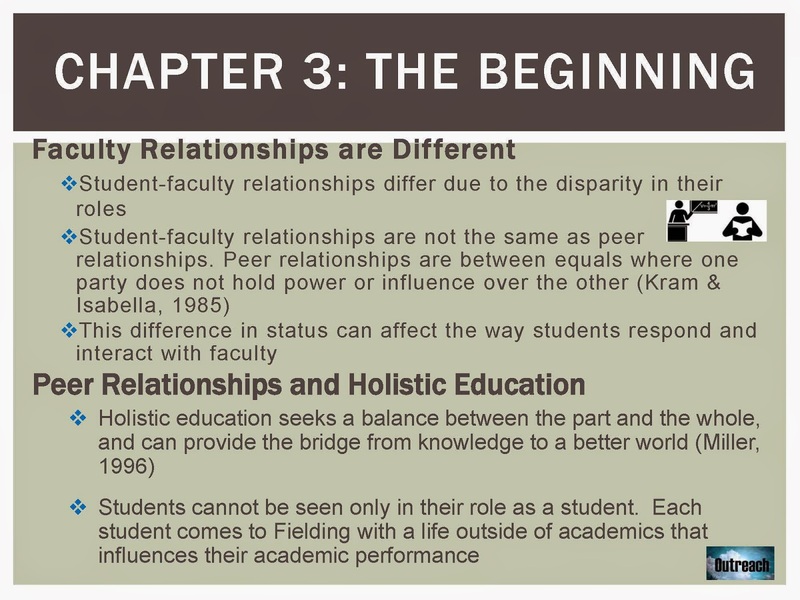 Not only do these relationships create a learning community and provide academic and personal support, interactions with peers expands the student's scope of knowledge and supports the unique paths students choose to take while earning the doctoral degree.